Thank you for letting us know this, Herr Oberst. I feared that they would be delayed until the Autumn. No, I can't say no. Great news. I will definitely pile on the SE.5a bus with a side of Pfalz to go. The Rumpler and Breguet I will need to get a look at to see if I need any more than I already have, although I will probably get one of each just to complete my collection. Yeh! I have been sweating on this release as I want the McCudden SE & the Bishop one to modify (not a BB fan!) & Berthold's Pfalz is a must. I already have the Voss Albatross & 2 other Pfalz D.III's. Last edited by gully_raker; 03-27-2019 at 16:11. The Breguet 14 on the picture above is not US crew Stanley/Folger but French crew Greffier/Marseille (2009 Wings of War serie - WOW148A). @monse: Thank you for the info. I've deleted the record. Now thats even better: another new paint scheme. I like the Mephistopheles symbol. That is an enticing little group of aircraft. Never got enough 5as in the stable. the maneuver deck of Rumpler C.IV is the medium speed H (instead of low speed K in Wings of War version). It seems not be accurate as Rumpler C.IV has a top speed of 175 km/h. Maybe it is to show its excellent performance at high altitude where very few allied planes could reach it. Breguet 14 A2 has a H deck, while Breguet 14 B2 has a K deck (like Wings of War version). Breguet 14 A2 is a recon version and B2 is a bomber version. Some A2 version were equipped with more powerful 400 hp Renault engine. So it may be the reason the Br.14 A2 has a faster deck than B2. 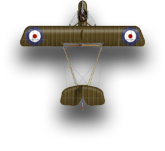 Another change is for Bishop’s RAF SE.5 (not SE.5a) which has a Fr maneuver deck. F deck (medium speed) has quite the same maneuverable as the SE.5a N deck (high speed), but with non steep maneuver for 90° left and right turn. So maybe the Fr deck has the steep 90° left and right turn. Last edited by monse; 03-26-2019 at 07:25. According to the information on miniature´s bases, the maneuverable deck of Rumpler C.IV is the medium speed H (instead of low speed K in Wings of War version). Thanks for posting the images they added overnight (for us US pilots) and good catch on the subtle changes to the decks. These are fantastic looking planes. Will definitely picking up extra SE.5as. Can't wait to start the repainting. Love the new versions! Looks like a few will be multiple buys for repaints. The Pfalz damage points seem to have fallen from 16 to 14 ? The Rumplers have gone up from 15 to 16 ? Would the change in damage to the Pfalz bring it back into line with period planes, or was it actually tougher than its peers? 16 is the SPAD XIII aerial tank damage. The Pfalz D.III was tougher than anything else the Central Powers had. It had a multiple plywood applique fuselage, stronger than the Albatros line. 14 damage points is a mistake. Seems like a Pfalz economy to me then Tim. Unless they issue us new cards for any changed aircraft mine will fly on the published cards, and any new aircraft will be deemed to have been damaged in a previous engagement. I am fed up with having to change stats, and print off sets of new movement cards just to placate the fine tuning of the new aircraft. I'm damned if I will start doing it for existing ones as well. Who at Ares actually sets the aeroplanes' statistics? I already have the Voss one & other D.III's. Really looking forward to my favorite British plane at long last reappearing - I have been unwilling to pay the high premium that getting these used demanded. My avatar will at last return to the Se5a once I actually have my hands on one. Won’t be buying extras of any of the others, but will probably get one of each. I don't like those changes, too. I hope there will be an official comment for clarification of the issue. On the other hand: the strength of WGF are scenarios and having fun, not dead serious tournament play like X-Wing - so what the heck about changed stats. Is there a reason why the Holtzem Pfalz doesn't have the camo pattern on top of the wings any more? The WoW model did have one. Is that supposed to be a different plane, or was the camo pattern a mistake? Hmmm... Not sure, but I'm finding different color schemes online for Max Holtzem. Some have a white upper wing, with a black star (Wingnuts), and some have a lozenge camo upper wing. Could both be right, depending on the day? Last edited by OldGuy59; 03-26-2019 at 19:19. The Wingnut Wings Pfalz kit shows a silver upper wing top surface. Their research is usually highly reliable. 2017 guys, that's 2 years since our last planes! Now we have both S.1 and S.4 repaints out in just a couple months! Here's to Kickstarter and its filling the coffers! Thanks for the heads up and info on the modified manoeuvre decks. Interesting changes! My understanding is that both schemes (Silbergrau and lozenge) are correct, representing two different aircraft, but I'm at work & have no access to my references. The new Pfalz stats are identical to the Albatros D.III - same old, same old. The problem here is that, unless you want to tie one hand behind your back, there will no longer be any incentive to fly a Pfalz D.III. It will no doubt come with the potentially crippling (but justified) "Unreachable Guns" card, so a jam will force early exit from a scrap. (Fortunately, this will NOT apply to the Pfalz D.IIIa). But for only 1 fewer damage point, you could have a Fokker Dr.1, with superior climb and superior manoeuvrability. For the same (14) damage points, you could fly an Albatros D.III, with identical climb and manoeuvre deck, but without the jamming problem. For the same (14) damage points, you could have a SS D.III, with superior speed, superior climb, and superior manoeuvrability. For 1 damage point MORE, you could get an Albatros D.Va, with superior speed as well. Why on earth fly the "new" Pfalz D.III stats? The 16 damage point toughness was the first, best reason to fly it as an alternative to other planes; take that away, and you're left with a "lemon" which I think few folks will want to fly out of choice. I have to agree, the one thing the Pfalz D-III had over the Albatros was its structural integrity. Dons't seem to make sense to change it. Eh, my incentive to fly planes is to replicate historical matchups, not because they are the "best". Historic pilots didn't get to always choose what they were flying. By the way, isn't there a handicap system for combating unequal aircraft? My incentive is primarily to have fun, and I do like to fly inferior planes against superior enemy machines ( a stance you HAVE to take if you fly Germans in this game!). But many of my opponents don't! I have always favoured "rubbish" troops - in ancient gaming my favourite unit is my Sassanid levy spearmen, and when building army lists I always incorporate a good (high) proportion of average-poor troops; they're so much more fun! I'm currently painting Fokker E.I Eindeckers, so I can use the 'XD' deck instead of the superior 'T' deck of the E.III, and I'll always love my Vickers "Gunbus", no matter how crap it is! But changing the Pfalz D.III stats to exactly match the Albatros D.III makes the Pfalz D.III too "samey"..........if it's no different, why fly it? As it used to be, it was slow and unmanoeuvrable, but with a higher damage total it was DIFFERENT, and a good ground strafer or balloon buster. I would expect sales to be a little lower if this revised damage total is true. There isn't a handicap system that I'm aware of (and there shouldn't be - as you said, players should learn to fly what they are given against whatever historical opponents appear on the other side of the table), but there is a semi-official but arbitrary and unconvincing "points" system. No one I know uses it, though. I like the cut of your jib sir. Let's throw our inferior machines at the enemy. You never know, you might just get lucky, and return to be the toast of the Mess, or like me just turn out to be toast. I will just change the damage points on the card & base to 16 as it should be. I will also buy fewer of these new planes, and will intensify my scouring for more of the old Nexus ones instead. I have to wonder if someone at Ares assumed the D.III was the same as the Albatros version. Hmm . . .funny thing I just have a dozen of the Nexus ones . . . . Even with the same stats as the Albatros D.III, there is still the aesthetic reason to still play the Pfalz. Both the Berthold and Holtzem are good looking planes. Don't get me wrong on this, I would have much preferred they stayed at 16 points as well, I just don't see it as the death of the Pfalz (it never really was alive in our local games anyways). Why would it matter if you buy old or new for repaints since you would most likely be doing new cards for them anyway? Is there a post that lists all the "new" paintschemes in one place? I guess all the Pfalz kind of count as new, since the wings of the Holtzem went from lozenge to blue. Is that right? Sure is Kev. Just scroll up until you find the posts with all the models with the new colour schemes. The pictures do indeed show good looking planes - I will buy my usual 2 of each (one for play, one for my collection) and will assess their quality at that point; I didn't say this will be the "death" of the Pfalz D.III, just that I believe that fewer will be bought with these new stats, and fewer will see the table because of this. For repaints, the older, 'Nexus' minis have been far superior to the 'Ares' ones - just look at the Fokker Triplane! The slab wings, the "hiding-below-the-parapet" rudder on the 'Ares' ones. And the DVa - the horror struts, and teeny-tiny wheels on the 'Ares' models; these things make the 'Nexus' planes much more suitable for collecting & repainting (IMO). Another plus of the 'Nexus' planes is the old-style decks - I can actually READ what's on them, and they don't disappear into the terrain mats like the 'Ares' ones do. As for cards, well, I can't make 'em! Not from scratch, anyway. I can modify the stats on them, using "Paint", but can't change the image. Plus, I much prefer the old-style plane cards over the new style, so I have to rely on the Card-meisters to make them for me. I'm intermittently working on an overlay label, which would cover the stats on all of my hundreds of existing cards (just requiring that the converted cards be sleeved, for longevity) and this would be applied to the old-style cards, for preference. Buying lots of new 'Ares' Pfalz D.IIIs would leave me with a lot of decks and plane cards I don't like; if the mini is lower quality than the 'Nexus' one, then there will be no point at all in my buying extras for repainting. the older, 'Nexus' minis have been far superior to the 'Ares' ones - just look at the Fokker Triplane! The slab wings, the "hiding-below-the-parapet" rudder on the 'Ares' ones. 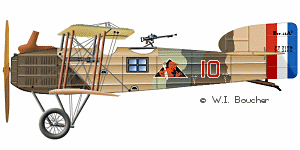 Except for the serie 1 (Albatros D.V, Fokker Dr.I), Ares reprints of WOW series have a good quality. On the pictures, WOG minis are on left side and WOW mini on right side. WGF: Series 4 Reprint on the Way...? All times are GMT -7. The time now is 06:29.